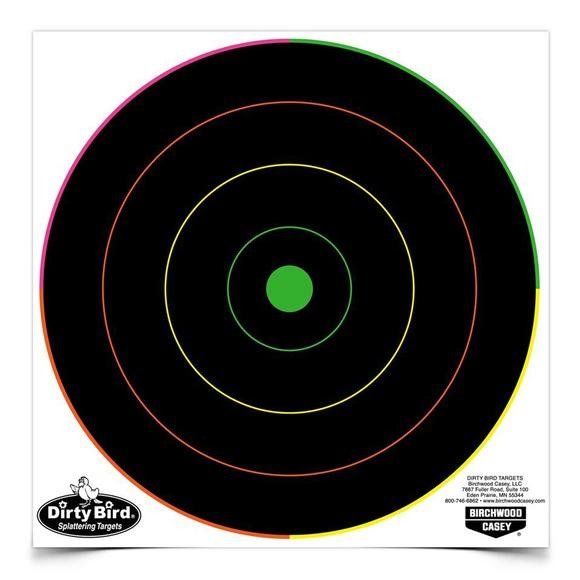 These Birchwood Casey targets offer the great features of the Dirty Bird® Multi-Color and come with an aiming point for open or scoped sights. There's even a tie-breaking ring in the center. Great for indoor or outdoor use. These Birchwood Casey targets offer the great features of the Dirty Bird® Multi-Color and come with an aiming point for open or scoped sights. There&apos;s even a tie-breaking ring in the center. Great for indoor or outdoor use.